Ahoy there! For Explore Your Archive week at the Manx Museum (18 to 26 November) the Manx Museum Library and Archive opened up its nautical archive. 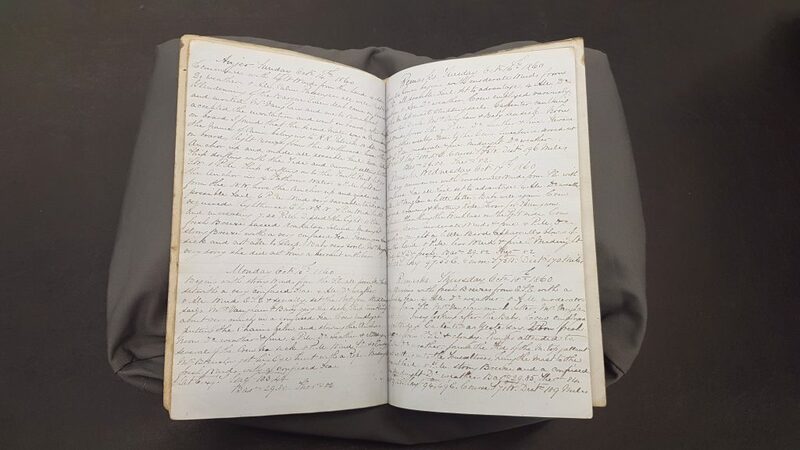 The theme was Mann on the High Seas and visitors were able to get up close to items such as historic Isle of Man Steam Packet Ledgers, customs records and prints. Explore Your Archive is a campaign that showcases the best of archives and archive services in the UK and Ireland. The campaign highlights the unique potential of archives to excite people, bring communities together and tell amazing stories. 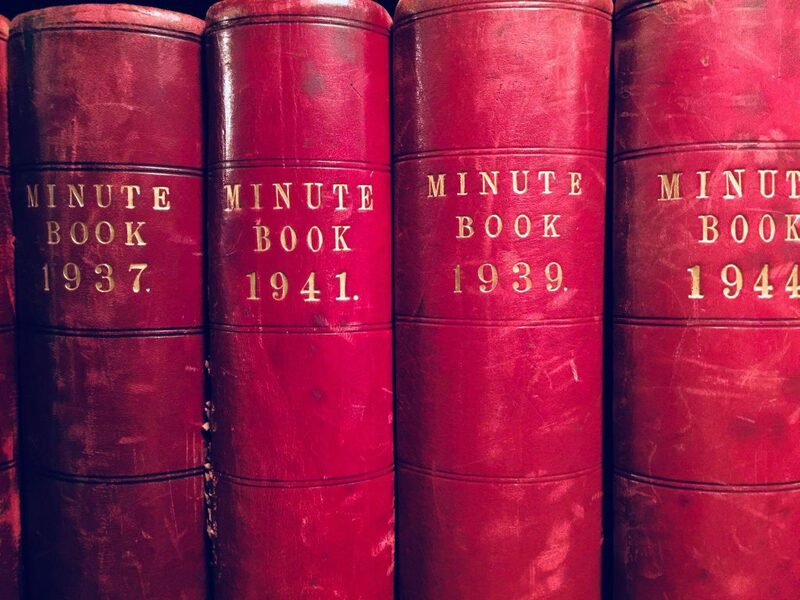 The Manx Museum Library and Archive hosted a series of free events across the week, where the team inspired the public to go beyond a Google search and explore the wealth of material available. 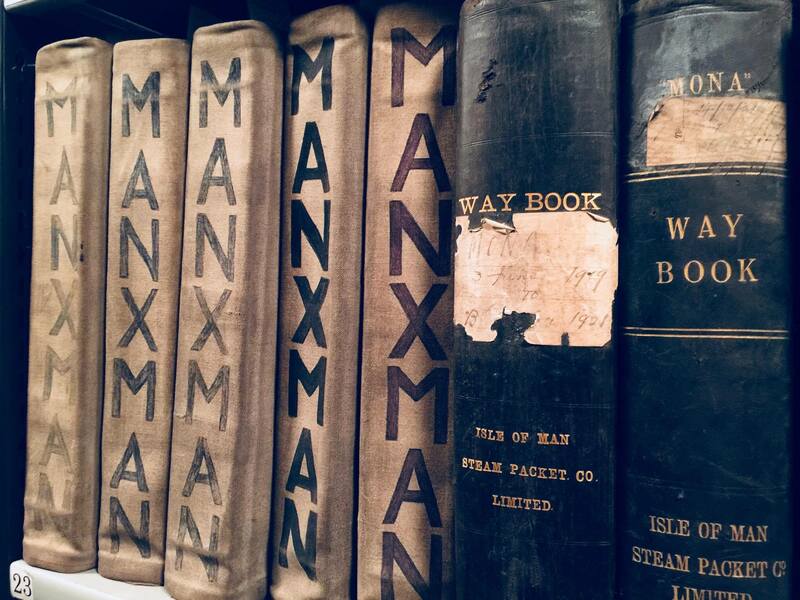 Day 1 of the Explore Your Archive takeover looked at the Isle of Man Steam Packet historic way books, cared for in the Manx National Heritage collections. 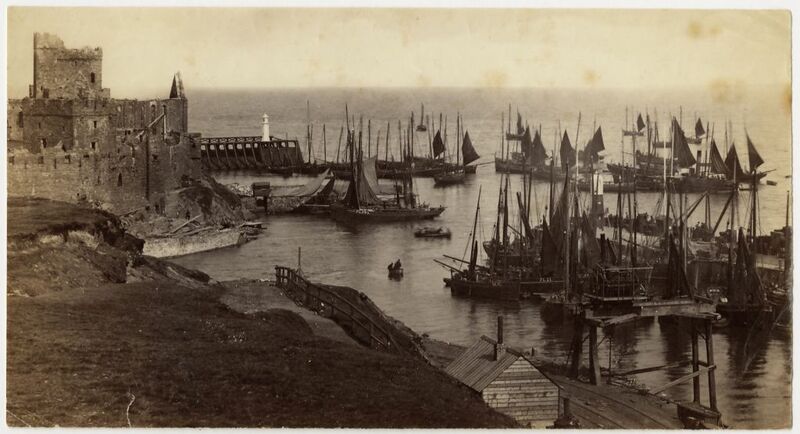 Day 2 focused on a photo of a very busy and fairly undeveloped Peel harbour, which would have been taken during the late 19th, early 20th century. Ref: PG/4415. 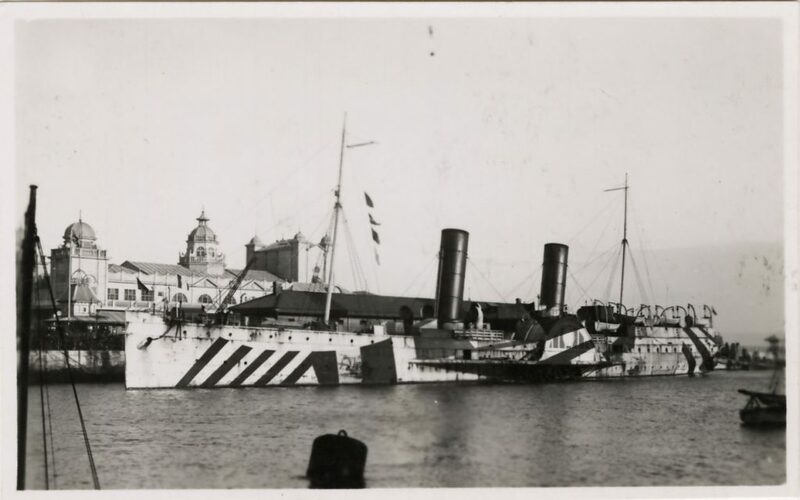 Day 3 of Explore Your Archive​ highlighted Manx ships that played their part in wartime, like the Mona’s Queen. The Isle of Man Steam Packet Company​ paddle steamer, ‘Mona’s Queen’ is pictured at Weymouth in her WW1 dazzle camouflage in 1916. Ref: PG/8281. Saving lives at Sea! Day 4 on the takeover was dedicated to some very special people – the Isle of Man Royal National Lifeboat Institution (R.N.L.I.) 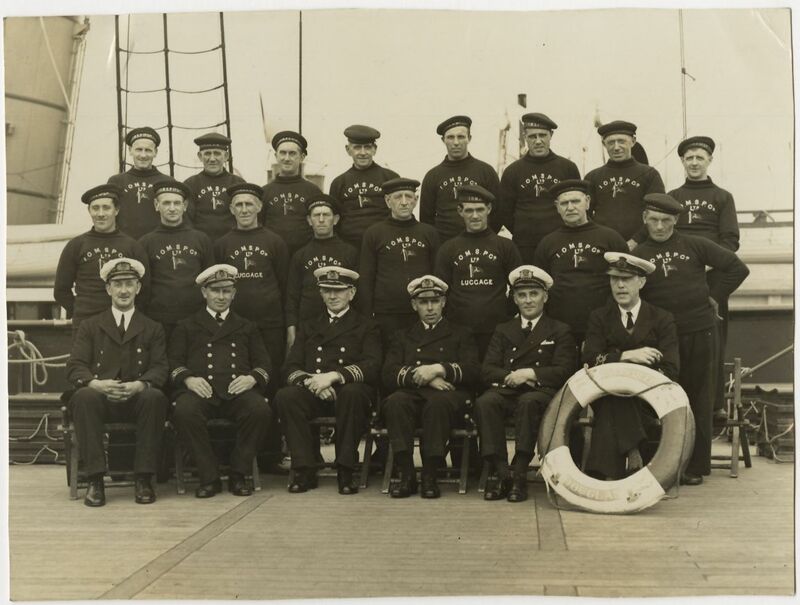 – exploring the Island’s long association with lifeboats and the R.N.L.I. 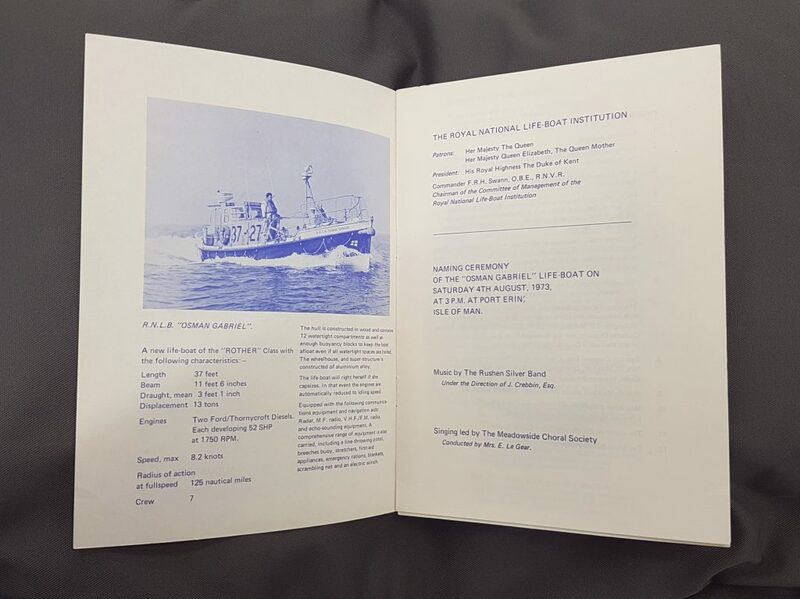 through Manx National Heritage’s printed collections. On Day 5 visitors discovered highlights from the shelves of sea related records covering the Island’s several shipping companies over the decades. Day 6 visitors learned more about notable Manx mariners through Manx National Heritage’s unique collections; like the logbooks of Captain Phillip Gell from one of his journeys around the world. Day 7 – Fish Friday! 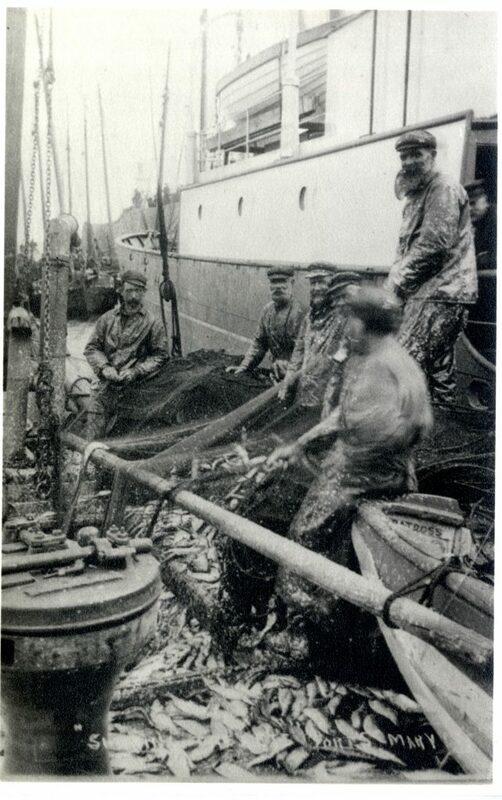 Fishing has played a hugely important role in Manx life over the years. This photo shows fishermen in Port St Mary harbour shaking down the nets to release the fish. Peel and Port St Mary were the two main fishing ports in the Island and for a period the southern port exceeded Peel in tonnage of fish landed. Ref: PG/5677/42. 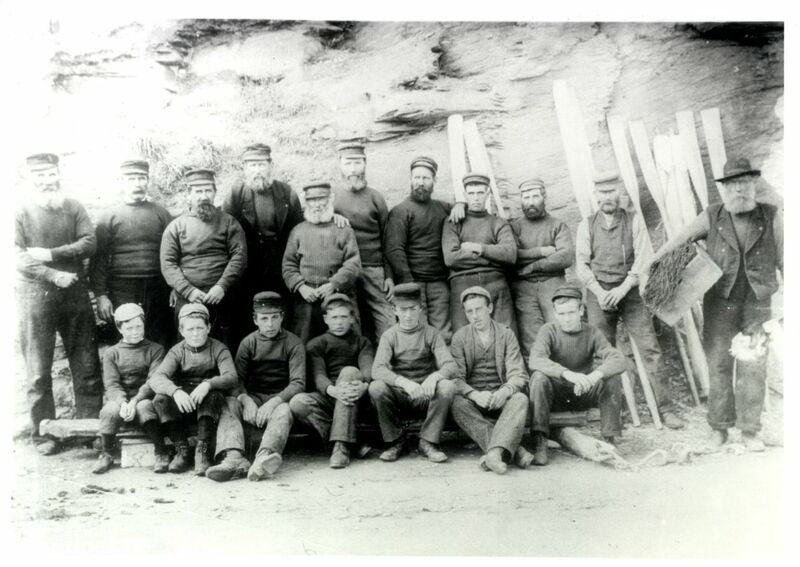 Day 8, Harvest of the Sea – following on from Fish Friday, the Manx National Heritage photographic archive highlights how Manx people earned a living from the deep, like these Port Erin fishermen and boys. 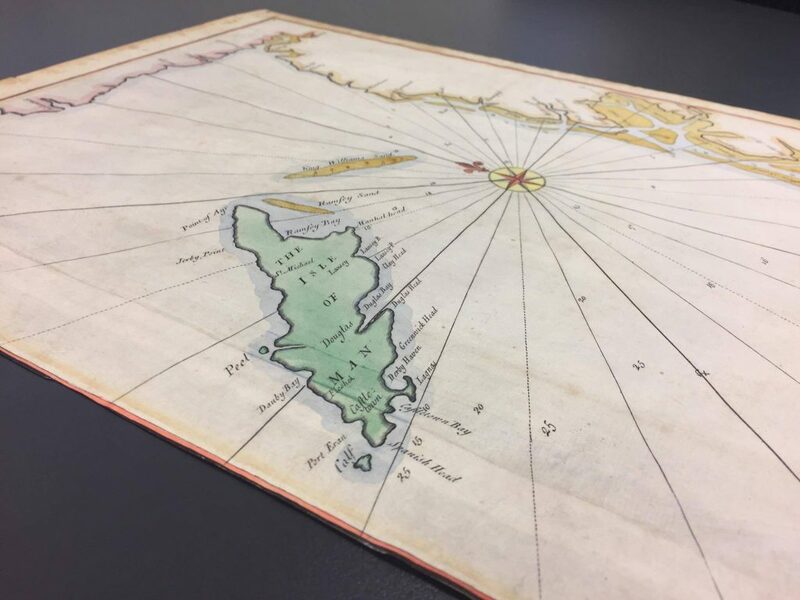 On the last day of Explore Your Archive takeover week visitors looked at a beautifully illustrated chart featuring the Isle of Man and surrounding coastlines. The week may be over, but you can Explore Your Archive throughout 2018 and uncover tales of life at sea through photos, prints, poetry and more. See Manx National Heritage’s website for our Library and Archive Reading Room opening hours. We look forward to welcoming you!